From a contributing editor for Vogue, a pitch-perfect, funny, and poignant novel about the joy and heartache of how deeply one person's life can affect so many others. With wit and warmth, And Sometimes Why captures the fragile rhythm and unpredictable drama of family life. When Sophia and Darius say good-bye to their teenage daughters one unremarkable morning. they have no idea how permanently their family will be affected by a decision made around the breakfast table. One of the daughters will have a terrible accident; the other will meet a boy. Both events will change their lives forever. 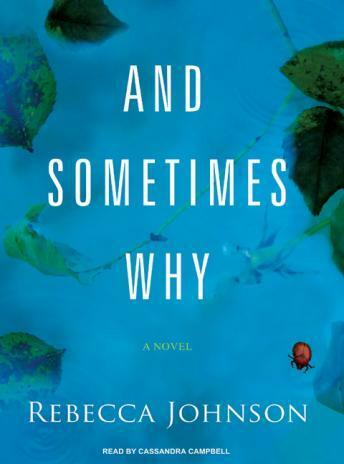 Profoundly honest and rendered with a deft lightness of touch, And Sometimes Why is a novel about how quickly life can change and how we must learn to change with it.